Pocono Raceway, in celebration the 25th anniversary of the Pocono Mountain Regional Police Department (PMRPD), announced a unique ticket fundraising campaign today. Fifteen percent from each ticket sold, as part of this specific ticket program, will benefit the PMRPD Foundation in their support of the department’s K-9 Unit. 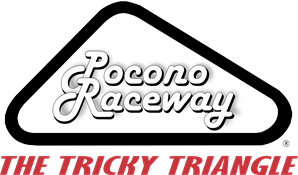 The PMRPD provides support and services to Pocono Raceway, Mount Pocono Borough and the Townships of Barrett, Coolbaugh, Tobyhanna and Tunkhannock. The PMRPD Foundation, established in 2010, funds specialty units including the SWAT and K-9 programs, community officer training, equipment and technology. The fundraising goal for this program has been set at $4,900. Fans interested in purchasing tickets and supporting this community-focused fundraising effort can visit www.poconoraceway.com/k9. Available tickets include the Pocono 400 NASCAR, Gander Outdoors 400 NASCAR and ABC Supply 500 races, as well as “The Great Pocono Raceway Air Show” event dates. For more details and information about the PMRPD Foundation, please visit www.pmrpf.com.